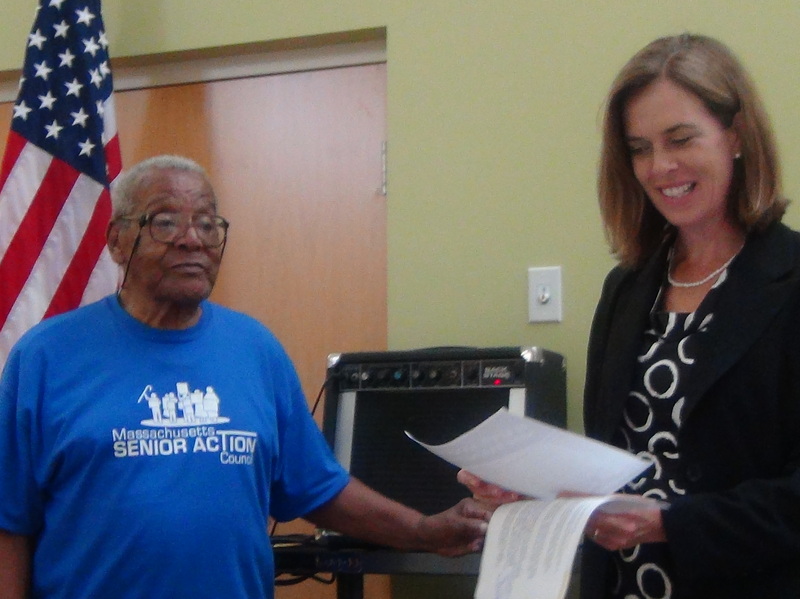 Congresswoman Katherine Clark expressed her pleasure working with Mass Senior Action Council (MSAC) during her time at the Massachusetts Statehouse and looks forward to a continued working relationship now that she is in Congress. 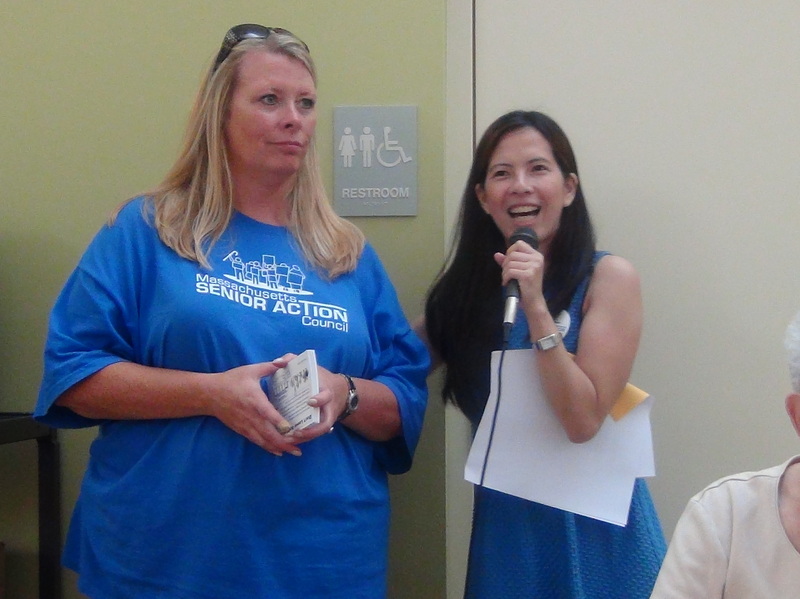 “It was always a good day at the statehouse when I’d see the blue t-shirts coming into the statehouse, rallying the cry, not letting legislatures forget what we are working for. Your voice has told me not only the power of grassroots advocacy, but what it means when we support our seniors like we do in Malden. 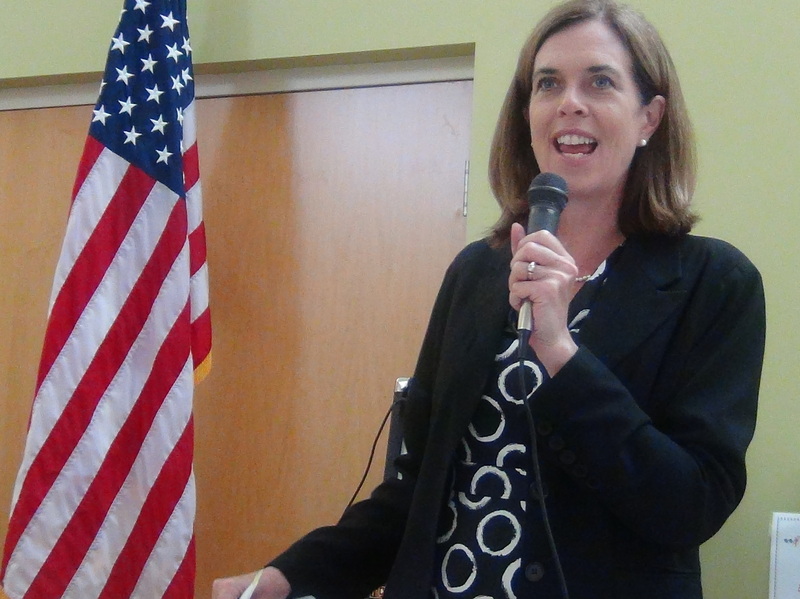 MSAC Metro-North Chapter welcomed the visit from Congresswoman Katherine Clark. MSAC asked her to come and show her support with our goals to preserve the present affordable housing units, and to gain new affordable housing. Congresswoman Clark recognized the important work we are focusing on and stated “we are looking at a crisis in housing in Massachusetts.” She added that between now and 2020; about 5500 units will lose their subsidy and return to market rate. That will affect 2000 units rented by seniors. We must find ways to keep those subsidies affordable for seniors, stated Congresswoman Clark. The Congresswoman recognized the great advocacy work done by Mystic Valley Elder Services on home healthcare. The Homecare policy is preferable to many families, is more affordable care, and it’s good for the bottom line of government’s budget. 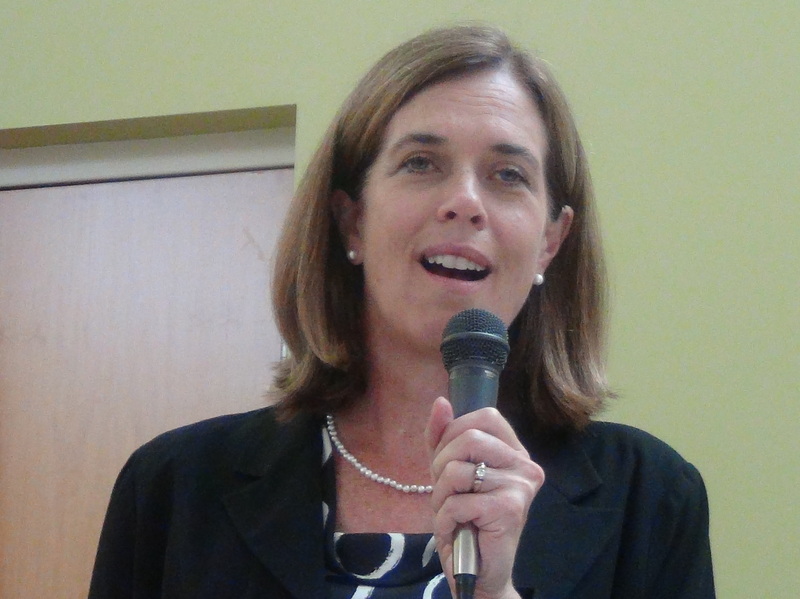 Following Congresswoman Katherine Clark’s visit, it appears that her office will not only be busy campaigning, but assisting MSAC finding funds for affordable housing in Malden. Her support was well received by the full-house in attendance at the Malden Senior Center.